I need a challenge this summer. Something to keep me on my toes with my soul's growth. I can't be the only one down here on Earth who sometimes feels stagnant in study time! Are you out there people? Or is it just me? To battle the boredom I'm developing a plan. My schedule for the next three months will be a "Spiritual Summer Camp" complete with camp songs, survival skills, first aid, maybe some s'mores, and swimming in the missionary approved deep blue...book (no actual swimming for me). Anyone who would like to join me can "register" by leaving a comment. My plans always seem to work out better if I know that someone is in it with me. If you participate perhaps you'll even earn a merit badge! The courses are still being outlined in my head but the main idea is that I will post what I've been working on and share some study tips that I develop. I tend to write more regularly and with more enthusiasm when there is a theme going on and I hope that y'all enjoy the fireflies and magic that I hope are going to happen! YES YES YES! I AM IN! 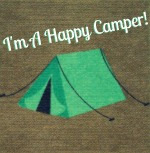 ;-) I loooooove camp! Great idea! And I think this idea is cool too. P.S. Hopefully sending a package tomorrow! Nice to have you back and blogging :-).....I need to do that too (blogging). But yep, count me in too. Love you! I'm coming along, thanks for the invite! 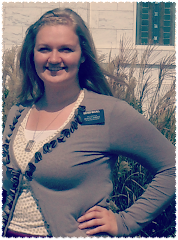 Serving as a missionary in the Tennessee Nashville Mission for The Church of Jesus Christ of Latter-Day Saints!